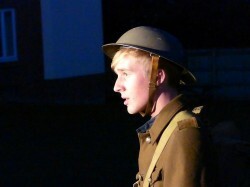 In a car-free village centre and on a battlefield-disguised school playing field, an inspired cast gave memorable performances in Tale Valley Community Theatre’s challenging and emotive outdoor autumn production of “They Dream of Home”, directed and written by John Somers, reflecting the lives of two young soldiers, killed during WW1, whose names are on Payhembury memorial. 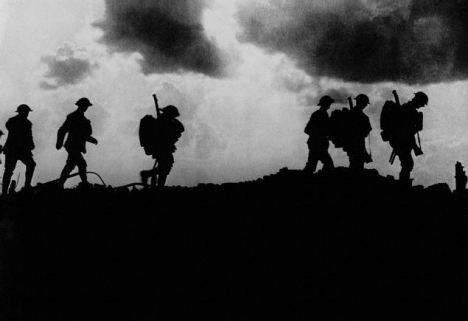 After reading the script, their relatives had given permission for use of the young men’s names in the play. 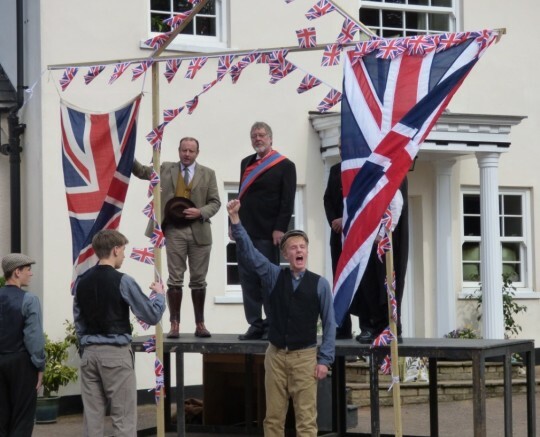 The young actors who played the central characters – soldiers, Bertie (Caius Nicholas) and Tom (Mark Rose), and village girl Gwen (Catherine Davies) – were outstanding in their roles. 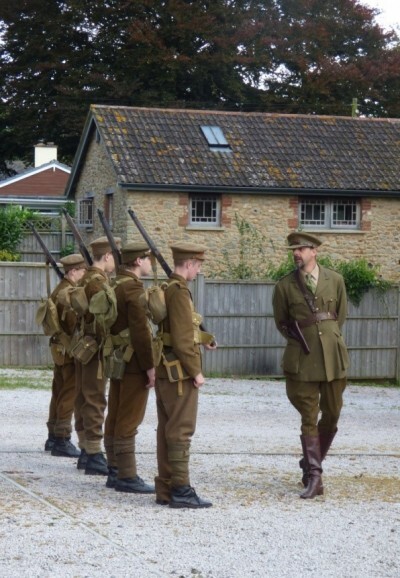 The battlefield, cleverly re-creating the awfulness of trench warfare without damaging the field’s surface, was an excellent representation of ‘the front’, with powerful sound and lighting effects adding to the authenticity of the experience. 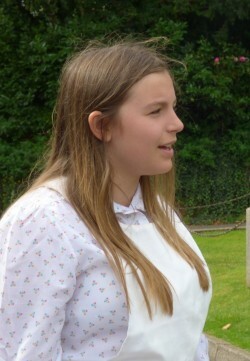 With fine weather for the performances, audiences were able to watch the different scenes at close quarters. The finale at the memorial brought tears to many onlookers’ eyes, as Gwen touched the engraved name of “her” Bertie, read a postcard message from him and ended the play singing ‘If you were the Only Boy in the World’. The power of unfulfilled love brought Bertie back and they concluded the song together. 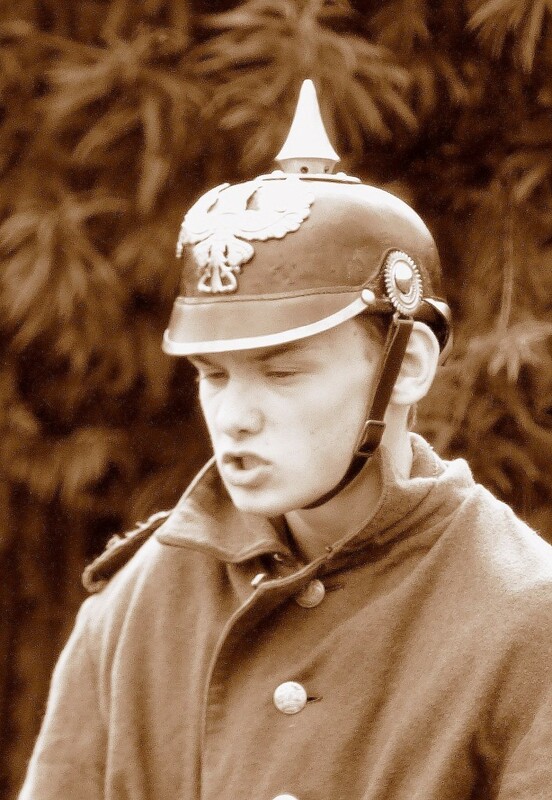 Jacob Franks as a German Soldier. camouflage netting and sandbags; to Duncan Chave for the brilliant battle sound effects and to Assistant Director, Martin Paine for operating the complicated battle sound system. 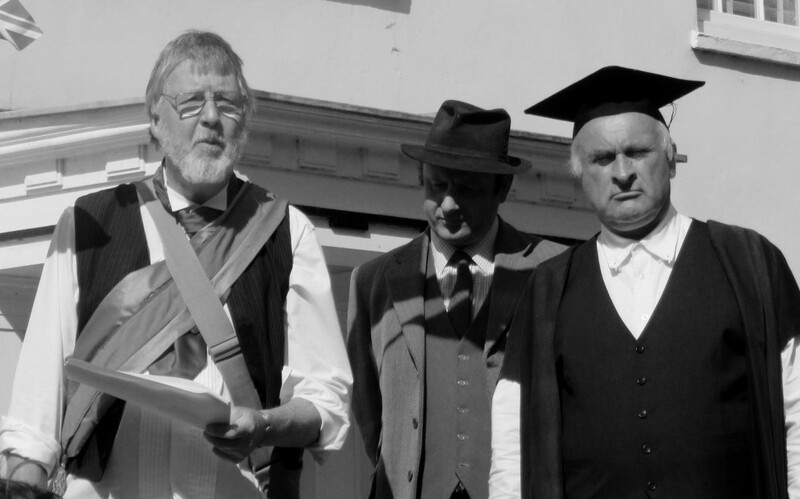 “On a recent visit to Payhembury, I was privileged to see a performance of “They dream of home”. It was brilliant! Congratulations to all concerned. To those who did not see it—-you missed a treat.